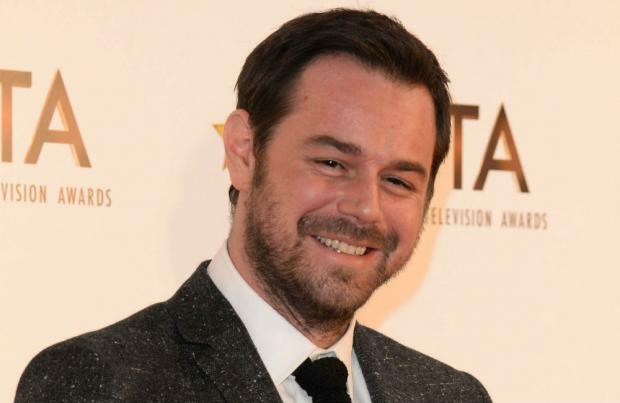 Danny Dyer thinks he was "too young" to be a father when he had his first child. The 'EastEnders' actor has confessed he regrets having now 18-year-old daughter Dani with his fiancee and childhood sweetheart Joanne Mas when he was just 19-years-old and she was only 18. Asked what being a dad means to him, he said: "It means everything to me, it's my whole world. I can't remember life before kids. Having Dani at 19 was too young, but it's made me the man I am today. I had to grow up pretty quickly and take on responsibility and, in a way, I wouldn't have had the career I had without my children. When I realised I wasn't number one anymore it gave me drive and ambition." The 37-year-old star also insisted that although he and Jo have done well as young parents, he doesn't want Dani to go through the same struggle they did. Danny - who also has eight-year-old daughter Sunnie and 19-month-old son Arty with his wife-to-be - added to OK! magazine: "I've told her, 'Do not dare make me a grandad before I'm 40! I know I did that to my parents and it was terrifying. Me and Jo had absolutely no idea of what were going to do and how we were going to do it. We had Dani in Newham General Hospital and they do a lot of good work but a day after she was born they through us out because they needed the bed. They gave us two leaflets on cot death and said, 'See you later'. At 19 years of age, that was a little wake-up call."